Once seen as a possible bridge to the Arab world, Qatar has turned out to be a fierce foe of Israel, a Foreign Ministry report says. It doesn't appear that relations between Israel and Qatar will be re-established anytime soon: A report Thursday morning said that Israel has been actively taking steps to reduce the influence of Qatar on Palestinian Authority-controlled areas, after the Foreign Ministry determined that the Gulf kingdom should be considered hostile to Israel. Israel and Qatar established trade relations in 1996 and in 2008 Defense Minister Ehud Barak met with former Qatari Prime Minister Sheikh Abdullah bin Khalifa al-Thani in Switzerland, at the Davos Economic Forum. Several Israeli officials, including President Shimon Peres and Kadima head Tsipi Livni, have visited Qatar. But in recent months, the Foreign Ministry report said, Qatar has stepped up its activity on behalf of Hamas and other Gaza terror groups. Qatar has been one of the chief backers of the PA's bid to declare an Arab state in PA-controlled areas of Judea and Samaria, and has been a major funder of anti-Israel groups abroad. Qatar also promised to fund all legal action Turkey might take against Israel in international courts over the deaths of Hamas-affiliated Turkish activists on the Mavi Marmara last year. Qatari officials made the pledge at a recent international legal conference held in the Qatari capital of Doha on the flotilla issue. As a result, Israel decided in 2010 not to accept Qatari offers to reopen the Israeli trade office in Doha, which was closed as a result of Operation Cast Lead. Qatar has sought to send building materials to Gaza for various projects it is funding, but Israeli authorities have refused to allow the transfers. That policy is to continue, the report said, and in addition, Israel in recent months has acted to prevent Qatari officials from entering PA-controlled areas in Judea and Samaria. For example, Israel several months ago refused to allow a visit to Ramallah by the president of Qtel, the Qatari cellphone company. Israel also denied a request by Doha to remove its Qatar Foundation from a list of organizations that are prevented from operating in Judea and Samaria, because of its support for Hamas. 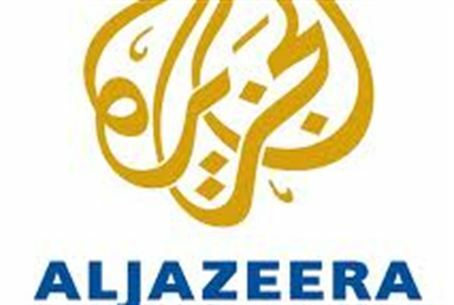 Qatar is also the home of Arab satellite network Al-Jazeera, which the Foreign Ministry considers extremely anti-Israel. As a result, the Ministry has worked in recent months to prevent reporters from the network from operating in Israel, and has stopped giving them visas. Currently, the only way for an Al-Jazeera reporter to enter Israel is using a passport from a country that has full diplomatic relations with Jerusalem, but the Ministry is seeking ways to keep these individuals out of Israel as well.